Competition compliance has become increasingly important in Brazil in recent years, especially after the fines for non-compliance escalated and the number of criminal prosecutions increased. The Brazilian competition authority (CADE) issued guidelines on how a robust compliance programme should be structured, and implementation of compliance programmes is often being included in settlement agreements entered into by companies that were found guilty of competition violation. In addition, the CADE Tribunal deems that competition compliance may be an effective tool to counterbalance the effects of a higher market share. On at least two occasions CADE Tribunal requested the adoption of a compliance programme as one of the conditions to approve a merger (HSBC/Bradesco and Innova/Videolar). CADE guidelines set out six criteria for a compliance programme to be considered effective, namely, ‘tone from the top’; appropriate resources; autonomy and independence; risk assessment; risk mitigation; and periodic review of the programme. Note that the standards should be assessed on a case-by-case analysis. CADE guidelines on compliance programmes are generally applicable to all companies, as they only provide a general guidance on how to implement a robust programme. CADE guidelines also stress that a compliance programme should be appropriate to each company’s risks, depending on its size and industry in which it operates. The company will have to assess the risks it is subject to in view of its activities in order to implement its compliance programme. CADE guidelines set the common ground compliance programmes should follow in order to be considered effective. CADE guidelines establish that a robust compliance programme may be considered as an attenuating circumstance leading to a lower fine, if the company breaks competition rules. However, there are no details on how any reduction in penalty would be calculated. Pursuant to CADE guidelines, a company must evidence its legitimate interest in complying with the antitrust legislation essentially with three measures: involvement of top management; the allocation of appropriate resources to the compliance programme; and the assurance of autonomy and independency for the person in charge of the programme. adoption of open communication channels with employees, especially those exposed to greater competition risks, among others. Based on the steps above, a company must identify the risks it is subject to and assess which activities are critical in relation to competition compliance. punishing any non-compliance by employees and officers without any exception. CADE guidelines stress that compliance programmes must be frequently reviewed, since market risks may change and require new preventive measures. Top management should be informed of the need to improve the existing compliance programme due to the market changes - it is suggested that a periodic report of compliance activities should be made to the company’s board. CADE guidelines also stress that the companies should constantly monitor new guidelines issued by authorities in Brazil and abroad. Any arrangement that aims to fix commercial conditions (such as, but not limited to, prices, margins, discounts, etc) between competitors should be avoided. However, CADE has a very broad view about what is an antitrust violation, and it might consider the mere receipt of sensitive information as a cartel. Although not all arrangement with competitors are considered illegal, we recommend the careful assessment prior to entering into one. Moreover, arrangements between competitors may be subject to merger control if they are considered ‘associative agreements’ (ie, the companies compete in the subject matter of the agreement, the agreement results in the sharing risks and results and lasts two or more years, including renewals) and the revenue thresholds are met. immediately report to the legal department any improper conversation initiated by a competitor. CADE has a very broad concept of what constitutes a cartel, which may include any sort of concerted action between competitors. According to the Brazilian Antitrust Law, the conduct does not have to produce any effect in the market in order to be considered an antitrust violation. In other words, a mere attempt may be considered illegal by CADE. There are no exemption mechanisms for cartels under the Brazilian Antitrust Law. CADE guidelines recommend that companies should never share confidential or competitively sensitive information, such as current and future prices, costs, production levels, expansion plans, discount policies and others. With regards to trade associations, CADE guidelines provide that exchange of information should be limited to the companies historical and aggregated data and, whenever possible, the information collected should also be available to third parties (even if not for free). Leniency is available to companies and individuals, provided that: the company or individual is the first to come forward in relation to the infringement; it ceases its involvement in the conduct as of proposing the leniency agreement; CADE does not have enough information on the conduct to condemn the other companies or individuals involved; and the company or individual fully cooperates with the investigation, identifying other undertakings involved and providing evidence of the reported conduct. Leniency may result in full immunity from administrative sanctions for both the company and individuals who come forward. If CADE was aware of the conduct by the time of the leniency application, then only a reduction of one to two-thirds is available. Leniency may also result in immunity in relation to sanctions under the Public Procurement Law. In Brazil, criminal liability for antitrust infringements only applies to individuals. Leniency agreements negotiated with CADE may also lead to immunity for individuals who are criminally liable for the cartel. Cartels targeting the state-owned entities may also be considered a violation of the Brazilian Clean Company Act. If this is the case, the leniency is available only for companies and it must be negotiated with the Federal Prosecutor’s Office and the General Comptroller of the Union. There has been a great deal of discussion about the enforcement of these provisions, so caution is recommended. A company may apply for a leniency agreement together with its officers and employees. Under certain circumstances, it is usually possible to include officers and employees at a subsequent moment, provided they were not offered to join the leniency application at the onset. CADE has a marker system, which allows companies to secure their place in line before it can gather enough information to present a formal leniency application. Yes, the company can get benefits. If a company is being investigated by CADE for a cartel conduct and blows the whistle on another conduct, it may be granted a reduction of up to a third of its fine in relation to the original conduct, as well as immunity in relation to the new conduct reported. In Brazil, resale price maintenance might be deemed illegal even if the supplier has a low market share or there are no effects in the market, if the supplier is not able to demonstrate the efficiencies from the conduct, for which CADE sets a very high bar. Although this conduct is not illegal per se, in practice there is a presumption of illegality. Price suggestions may be considered legitimate if there is no pressure on the distributors to follow suggested prices. Other vertical restraints, such as maximum prices or exclusivity agreements, are assessed based on the rule of reason, so companies that hold market power must assess any vertical restraints before implementing them. With the exception of resale price maintenance (which, as explained above, is not illegal per se, but in practice might be presumed illegal), all other vertical restrains are assessed under the rule of reason and thus are not illegal per se. CADE will assess whether the company holds a market position, as well as the effect of the conduct in the market. Efficiency arguments may be accepted by CADE, although the burden to prove any efficiency would be on the company. There are no exemptions for vertical restraints in Brazil. The Antitrust Law established a presumption of dominance in case a company holds 20 per cent or more of market share. Thus, a company holding more than 20 per cent in any relevant market should assess its business practices more carefully in light of competition rules. If a company holds a dominant position, any conduct that causes actual or potential negative effect in the market may be considered illegal. CADE has already imposed fines on companies for fixing minimum resale prices and implementing exclusivity programmes that hindered the activities of competitors in the market. There are no exemptions for abuse of dominance in Brazil. at least another other economic group involved in the transaction (again, buyer or seller or partner to a joint venture) registered gross revenues in Brazil in excess of 75 million reais also in the fiscal year previous to the transaction. In addition to that, the transaction would only be reportable to CADE if it has effects on the Brazilian market - CADE case law clarifies that there are effects in Brazil whenever the target company has any sales in the Brazilian territory (even if minimal), although there are precedents against this interpretation. In Brazil, the burden to submit the transaction to CADE lies both with the acquirer and the seller. There are no fines for failure to notify, but for implementing the transaction prior to CADE’s clearance (gun jumping), which applies to both companies involved. Simple cases are analysed under the fast-track procedure, in which a decision is issued within 30 calendar days as of filing. All other cases are subject to the ‘ordinary track’ procedure, which usually takes from 60-120 calendar days as of filing to be decided, provided that CADE accepts the filing as complete. The statutory deadline for ordinary track cases is 240 calendar days as of the filing date, with a possible extension of 60 calendar days, at the parties’ request, or 90 calendar days, at CADE’s request, and complex cases can take the full 240 calendar days - or more in case of an extension - to be decided. Note that cases subject to the ordinary track procedure should also undergo a pre-notification period, which can take from 15 to 30 calendar days on average. When the transaction is approved by CADE’s Directorate General (as opposed to being challenged to CADE Tribunal), there is an additional 15-day waiting period for the decision to be final, as this is the appeal period for the decision (appeals are very rare, but the regulation still requires the parties to wait this additional period to close). Approval means that CADE agrees with the terms of the transaction documents submitted to it by the companies involved. CADE may request adjustments in provisions that are not in line with its case law, such as non-competition provisions longer than five years. Implementing a transaction without CADE prior approval may result in fines raging from 60,000 to 60 million reais. Moreover, CADE might also determine that the acts performed by merged or merging entity are null and void, and open an investigation for anticompetitive acts that could result from the prior implementation. CADE has already imposed several fines for gun jumping - the highest being approximately US$10 million (Cisco/Technicolor). CADE can request the amendment of a filing deemed incomplete once (in this case, the review period will only start running once the complete filing is submitted). If after the re-submission CADE understands that the filing is still not complete, it might reject the filing. In this case, the parties will have to re-file and pay a new filing fee (approximately US$27,000). CADE has no specific guidelines on legal representation, so the general rules of the Brazilian Bar Association (shall apply. It is advisable that companies and employees use separate legal representation if their interests are conflicting in relation to the potential strategies to be used (eg, the company wants to settle the case and its employee prefer to rebut the allegations). Dawn raids are very common in Brazil, especially in cartel investigations. CADE may conduct a dawn raid if previously authorised by a decision from federal courts. Such a decision will be granted when there are reasonable grounds for suspecting that the company has engaged in illegal conduct. The decision will specify the premises that can be searched. Dawn raids are usually conducted together with the federal police, which can be intimidating to employees. There is little a company can do during a dawn raid. The company has the right to check the warrant before allowing the authorities into the premises and it may require the presence of two law clerks. The company is allowed to make copies of all documents seized, provided it will not delay the dawn raid. Companies and individuals may request to settle any investigation initiated by CADE. The earlier a company or individuals apply for a settlement, the greater the benefits will be in relation to the expected fine. In Brazil, investigations are conducted by CADE’s Directorate General and then referred to CADE Tribunal for a decision. Companies can apply for a settlement at any time before the case is decided. Having a compliance programme in place may be seen as an indication of good faith of the company, and considered as a attenuating circumstance for calculating the expected fine of the company, resulting in a lower fine. In some cases, CADE may also regard implementing a compliance programme as obligatory for the settling company. 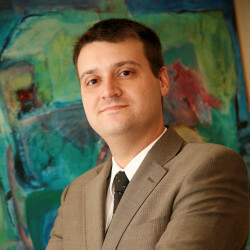 Corporate monitorships are not used in Brazil in antitrust settlements. As a general rule, CADE does not make statement of facts provided by companies in settlement negotiations available to third parties. Those documents are kept confidential unless there is a court order obliging CADE to disclose the documents to third parties. CADE has no specific guidelines on legal privilege, although it is possible to request it in relation to the company’s documents during an investigation. Privilege against self-incrimination is afforded under Brazilian law. As a general rule, investigations are public in Brazil. Investigations arising from leniency are mostly confidential until CADE Tribunal reaches a final decision on the case. The companies can request confidential treatment to information in the case records that is commercially sensitive. Refusing to provide information requested by CADE may result in daily fines of 5,000 reais. Such a fine can be multiplied by 20 if it is necessary to guarantee that the information is provided by the company. There is no duty to notify regulators of competition infringements in Brazil. As a general rule, the statute of limitation for antitrust infringements is five years. With regard to cartel conduct, CADE takes the view that the statute of limitation is 12 years, although there are legal arguments to defend five years. The Antitrust Law establishes that any conduct that may cause harm - even potentially - to the marketplace may be considered illegal. * This is a revised and updated version of the Brazil chapter published in Competition Compliance 2017, written by Leopoldo Pagotto, with assistance from Adriana Giannini and Renata Arcoverde. Founded in 1996, Freitas Leite has significant expertise in providing specialised legal advice on financial and capital markets, corporate and tax law, merger and acquisitions, wealth planning matters, antitrust and anti-corruption.